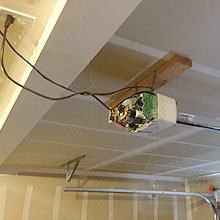 Your garage door is the largest movable part in your home along with all its components, and is used on a daily basis. 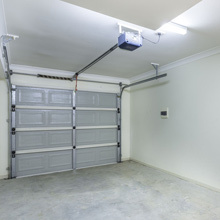 For security, convenience, and financial reasons, its best to maintain your garage and you can do with our help. Regular maintenance services will prevent problems and save you big bucks in the long run. No matter what brand, your garage door requires care and maintenance. If you notice any trouble when it opens or closes, give GARAGE DOOR ESSENTIALS a call. We’ll be able to inspect your garage door or any other part and perform any necessary maintenance service. Can quickly and affordably complete all of your maintenance needs. Q. I’ve been comparing R-values of various doors and am surprised at the variance among them. Can you explain this? The higher the R-value number, the better the insulating properties of the material. However, an R-16 value is not twice as good as an R-8 Value. R-16 does not offer twice as much thermal resistance or twice the energy savings of an R-8 value. A value of R-16 offers a 5% reduction in heat flow and a 5% improvement energy efficiency than a value of R-8, not 50%. No matter the R-Value, an insulated garage door will reduce the amount of heat flow and improve energy efficiency of a home. Q. I’d like to purchase an Amarr steel door, but need a color other than those you offer. Can I paint the door once it’s installed? A. Yes. All Amarr steel doors are pre-painted with a factory-applied baked-on coating that is suitable to be repainted. Amarr doors will accept a wide variety of commercially available latex exterior paints, when applied in accordance with the paint manufacturer’s recommendations. Do not use oil-based paints. 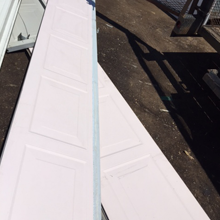 Painting of an Amarr steel door voids the Paint Finish Warranty. A. First to market with this innovative garage door, Amarr introduced the Classica Carriage House garage door in 1995. Made with 3-sections, rather than the traditional 4-section garage door, Classica garage doors convey a more vertical, authentic carriage house look with larger windows. Also, the 100+ Classica door designs are all priced the same unlike competitors’ carriage house doors made with plastic or composite overlays. Additionally, there’s no worry of the overlays shifting, warping or falling off with a Classica design. Available in a variety of colors, door designs and window options, there is a Classica door design to match your home’s architecture and enhance your home’s curb appeal. A. 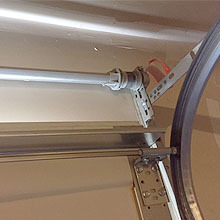 You can manually lock your garage door with slide bolt locks (available through GARAGE DOOR ESSENTIALS. However, be aware that you must not operate your garage door opener when the slide bolts are engaged, as this will damage your garage door. 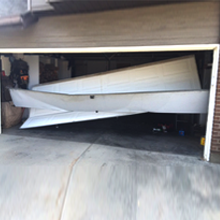 Amarr recommends unplugging your garage door opener, if you engage your slide bolt locks. Many garage door openers have a vacation switch that can be engaged when you are away.